Home » Broadband » Tooway Broadband installation. Professional Installation by our Tooway trained Installer. Price includes Heavy Duty South or East Facing Wall Mount and up to 30m cable. 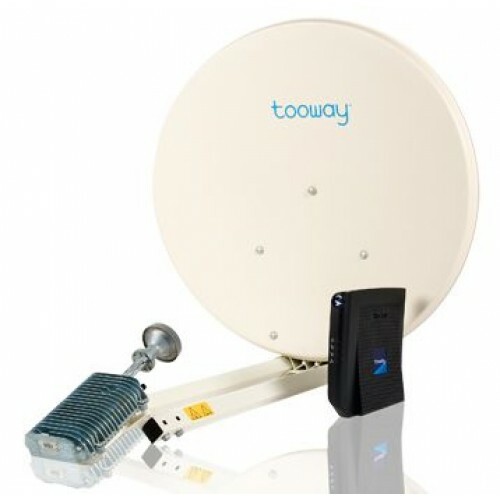 This Professional Installation option is suitable for the Tooway Broadband Satellite Internet service. If you have ordered direct, bought elsewhere or maybe moved house, you are still welcome to make use of this option. In addition to the Standard South Facing Wall Mount, we also have other mounting options available, including North or West Wall Facing, Patio Mount, Flat Roof Mount and Garden installations for an additional fee, please see our 'Non Standard Installation' option.